FXCL Markets Ltd. is a brokerage company dedicated to servicing your investment needs and committed to helping you pursue your financial goals. FXCL Markets Ltd. was registered in Belize and is fully regulated by Belize International Financial Services Commission. Thus, the company is entitled to carry on brokerage activity, make deals and conduct transactions at the global currency market. FXCL Markets always keeps up with modern technologies, regularly expands the range of trading currencies and financial instruments, and uses up to date software. We currently offer the most popular platform for online trading “Meta Trader 4” to help our clients access their personal accounts and quotes from anywhere around the world. Along with advanced information technologies and qualitative software we provide our clients with high-level brokerage services. You need to open a new account. Click here to open a new account. 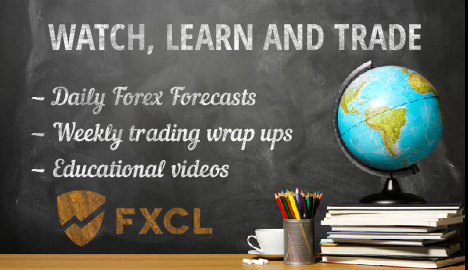 Contact FXCL Markets at info@fxclearing.com to have the funds transferred from your old account to the new one. *FxRebate will not pay rebates for scalping trades. Is it your Birthday? Congratulations! Please accept our warmest wishes and let us make this day even more special for you. Within 10 days before and after your Birthday get a 100% + Your Age bonus from FXCL. The Vanuatu Financial Services Commission (VFSC) was formally established in December 1993, after the Vanuatu Parliament enacted the Vanuatu Financial Services Commission Act No. 35 of 1993. Previous to this, we were the Registrar of Companies and the Official Receivership Department of the Treasury since 1971 under the then, British Administration and after independence in July 1980, the Ministry of Finance and Economic Management. In short the main function of the VFSC is to operate an effective and efficient Registry.In addition, it has been tasked to regulate and supervise the non-deposit taking financial services industry of Vanuatu. This function would include promoting the industry overseas and protecting its reputation from undesirable business persons.